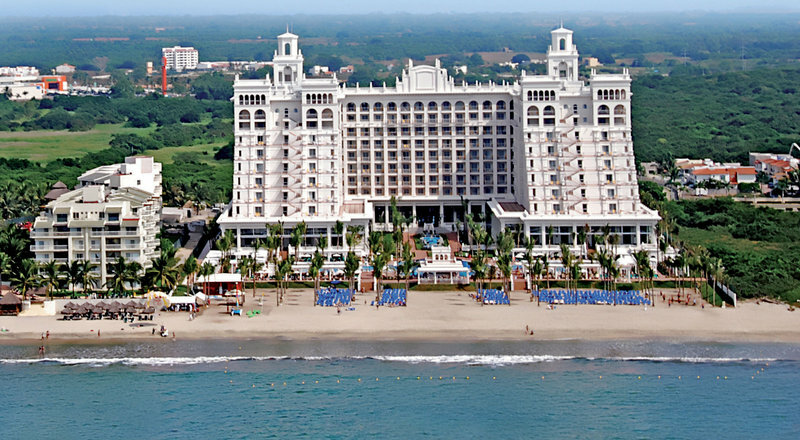 This luxurious and elegant resort offers an elegant setting for those vacationers looking for relaxation.The Hotel Riu Palace Pacifico is our most luxurious hotel in the area. The high quality service and professionalism of its staff make this hotel the perfect place to spend your holidays. This Palace offers you the best facilities to cater for your every need. . RIU Palace Pacífico is in a seafront location on the impressive Pacific Ocean and surrounded by unique nature. If you want to escape from the hustle and bustle of the city and leave behind the stress of everyday life, you’ll find a fresh water infinity swimming pool with adjoining Jacuzzi, solarium-terrace, gym, sauna and spa with a range of different treatments and massages.You will also find numerous activities and sports to enjoy during your stay. You can go diving, play volleyball; do gymnastics, windsurfing, catamaran, kayaking, bodyboarding, golf and many other water sports at the beach. At night you mustn’t miss the different shows and live music organized for you by our entertainers. If you want to go dancing we invite you to the “Pacha” club where our DJs play the best beats. Your children will have a ball with other children in the Riu Land program where crafts and sports are just some of the leisure activities organized by our entertainers. This beautiful resort has 445 junior suites and all have a living room area, hydro massage bathtub, turndown service, mini-bar, liquor dispenser, safe and balcony or terrace. Two-bedroom family suits and ocean-view suites have a Jacuzzi on the balcony. Free Wi-Fi in the room is also available. The five restaurants serve up sumptuous cuisine the buffet with live cooking stations, “Krystal” Fusion restaurant, “Kyoto” Japanese restaurant, “La Toscana” grill and steakhouse, and “Guacamole” Mexican. 24 hour room service is also available. Enjoy unlimited domestic and select imported drinks at the five bars, including a swim up bar and poolside beverage service.